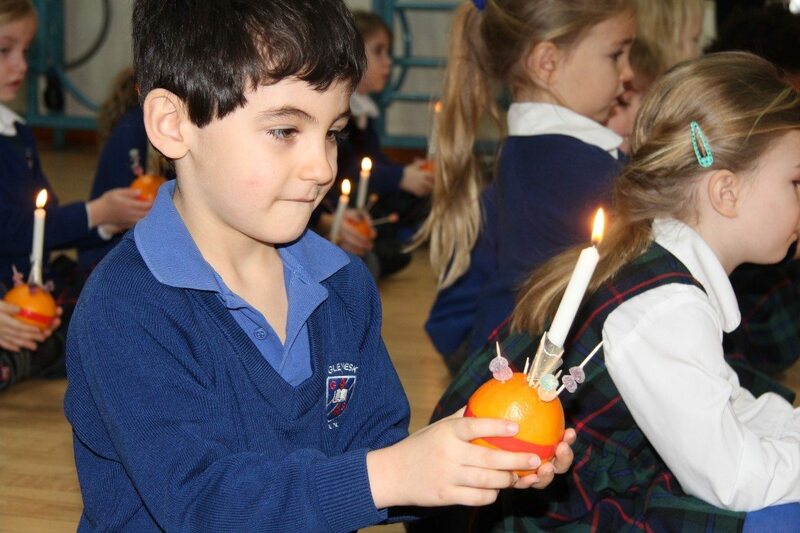 Following making their Christingle oranges last Friday, the children enjoyed a Christingle service this week with Reverend Pittarides from St Martins and Ed Cope, the Children’s Minister from St Mary’s. There was a magical atmosphere when the lights were turned off and the children enjoyed singing by candlelight accompanied by Reverend Pittarides on the guitar. Mrs Tod even gave us a real life demo!